Mounting of a Pololu STR-1RC reflection sensor on a Fischertechnik block FT-35049. A small extra slot is milled to hold the connecting wires. An M2x5mm screw attached the pcb. This screw can be moved in the block. 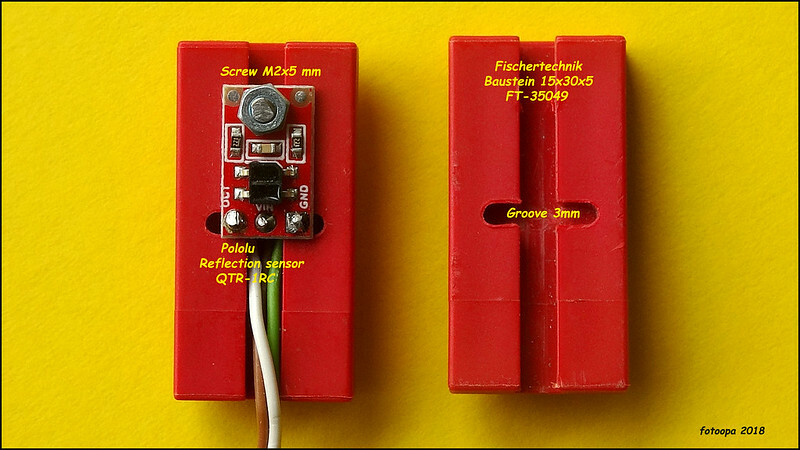 Just solder 3 wires and the sensor is ready to use. This detector is mounted just above the steel balls and can thus count the number of balls. However, the sensor must be shielded from excessive ambient light in order to function properly. This is the time that the steel ball runs through the detector. 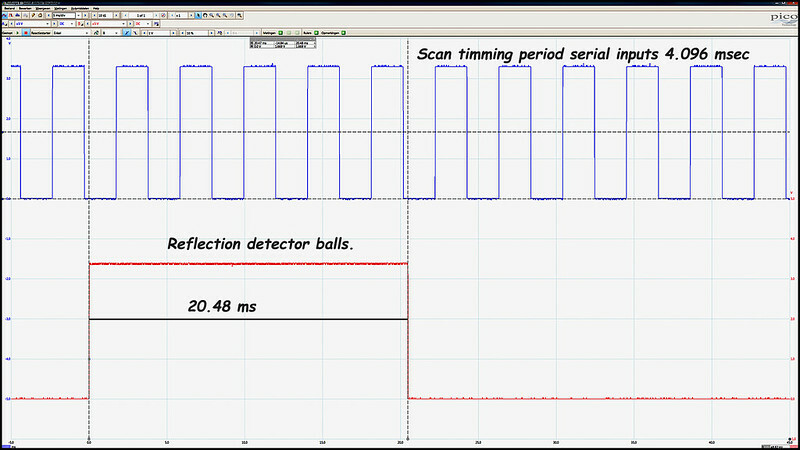 The ball is detected by the reflection detector for a period of more than 20 msec. Channel A displays the scan period of the serial input reader which is 4,096 msec. The signals are transmitted by the FPGA at the scope outputs.